Then, I began this little wall quilt last Sunday and just finished it earlier today. 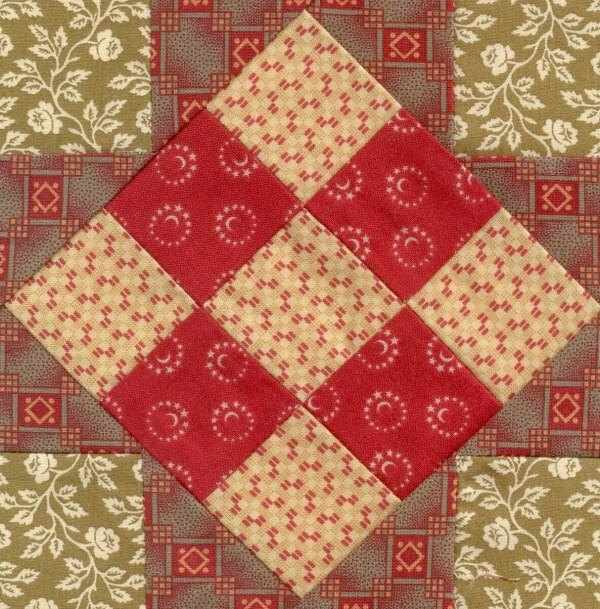 It was inspired by a regular-size antique quilt I saw in an antique mall last week-end. 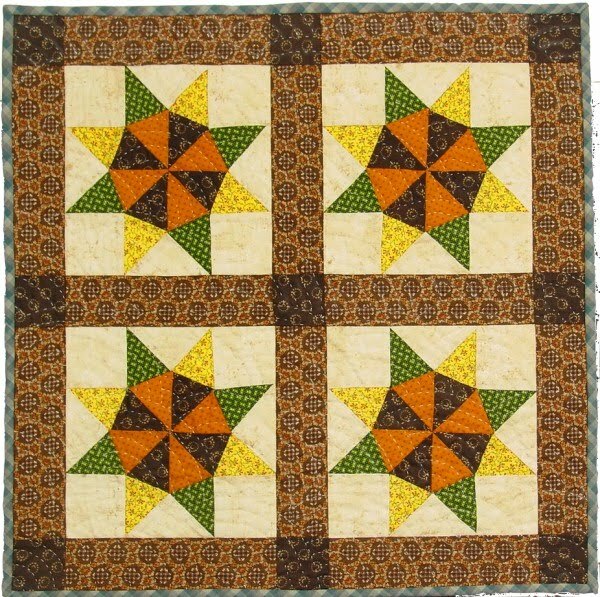 I liked it because the blocks were pieced with Pennsylvania German fabrics (chrome yellow, poison green, cheddar do we love it!). The blocks seem to have made a journey South and gotten sashed (in light brown and darker brown prints), backed, and quilted in the South. I resisted the temptation to quilt it on the machine and did Baptist Fans by hand and oh my goodness, I worked on it for hours and hours this week. It is done. Also used the same blue plaid binding that is on the original. The pattern is called Pennsylvania Traveler and is composed of Y-seams, which I get a kick out of doing on the machine. I answered Taryn's question below, but in case you are wondering as well, I am a beginner at hand quilting and have not done Baptist Fan before (if indeed I have done any hand quilting; my stitches are so large, they look like the broken white lines on highways sigh), but I drew the lines freehand with chalkboard chalk on the dark fabrics and blue water erasable pen on the light fabrics. It's true what Tonya says in her tutorial (which I studied beforehand): it doesn't look so bad when it's all piled together. This coming Thursday, I am attending yet another quilting class (I am purposely attending lots of classes this year in the hope that it will occupy my mind while Timmy is in Afghanistan), the Prairie Women's Sewing Circle! I do not know if there will be a photo op, but if there is, you may be sure I will post a Show and Tell :-). Love it, Karen! So you finally gave up on coming up with an alternate binding and went with the blue plaid. It looks suitably prim and scrappy. I enjoyed watching you auditioning other possibilities but I like your final choice! absolutely delicious! Love those colours together and the sashing fabric is perfect. I like the name, Pennsylvania Traveler. Yes, we love the PA German colors and I like the way your corralled them with the browns and the blue plaid binding. 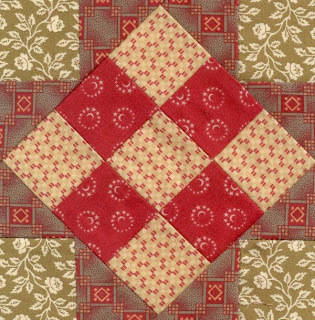 How do you mark the Baptist Fan quilting on such a busy print? Do you just have good eyes? I am struggling to do one of mine but cannot see the markings. 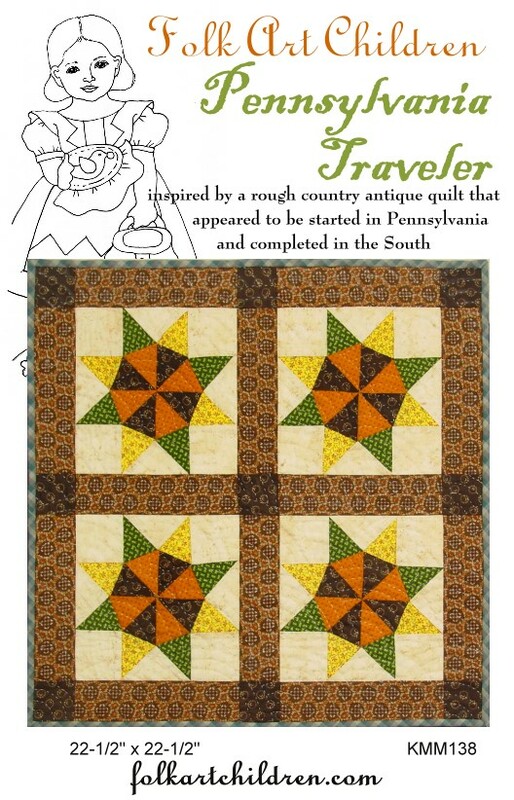 I really love the color combination on the traveler quilt. I never get tired of those PA German colors. That is a great block. 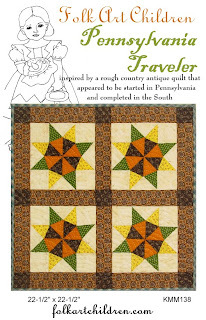 And, the Pennsylvania Traveler is a wonderful pattern. Excellent colours. Love your new pattern and the colors are wonderful! 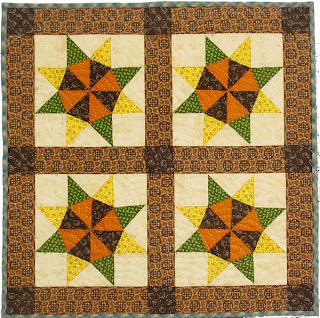 Baptist fan is my favorite quilting design and I'd like to give it a try by machine. It makes anything look very traditional. Wow! I absolutely love your little quilt. 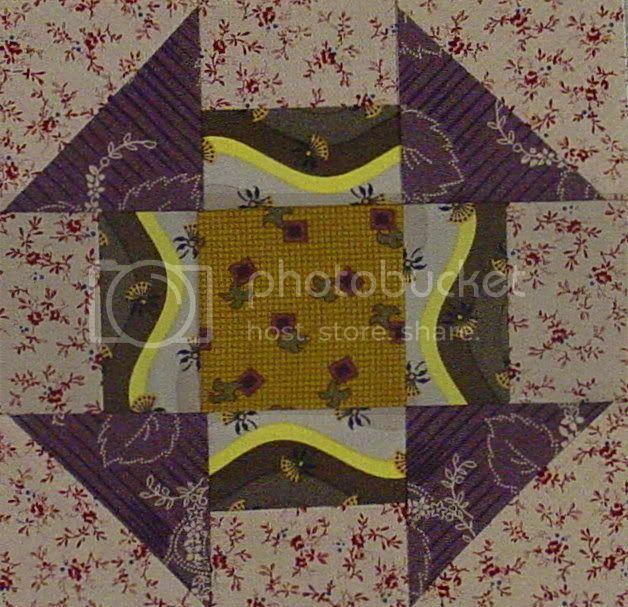 The colors, the pattern, the quilting...all wonderful. Thanks for sharing. What a wonderful block and a lovely quilt!! The fan quilting is perfect for it. I like your diversion strategy!! Yes, yes, yes! Great colors, great design, great pattern! The sashing fabric is perfect, and tames the bright colors. I have seen this block before and wondered at the construction. Oh, did I say great name?! See how behind I am on reading blogs...Love the CW block!! Great fabrics! Your PA Traveler is just wonderful and I love the unexpected blue binding. Hope you are doing well. Your blocks still look wonderful! I think your quilting looks fine! Great fabrics in your BB CW block. I just bought some of the green with red geometric designs--your outside triangles. LOVE it. I have to work on my hand quilting. No confidence all. Your Baptist fans are a great design with your adorable quilt. My thoughts and prayers are with Timmy, as always. Quilting does help occupy the time--not 100%, but it helps.